Surrounded idyllic tropical surroundings with ocean views and balmy sea breezes; a private villa is the ideal place to pop the question to your loved one. For ladies and gentlemen that want to wow their friends with a romantic proposal tale; having the magic moment to take place in an ultra-romantic private villa in Thailand is perhaps the ultimate fairytale. If you have already planned a romantic holiday in Thailand, then getting engaged while you are there would definitely be the icing on the pre-wedding cake. 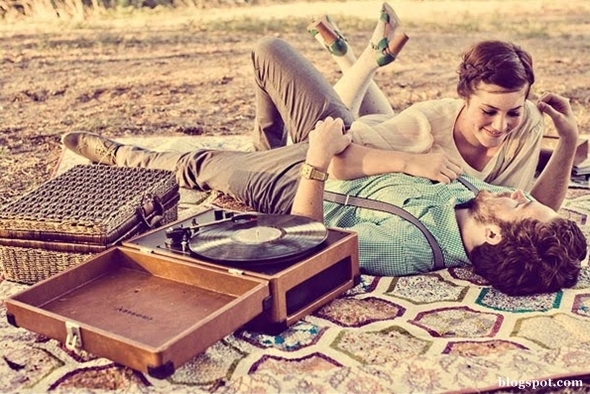 Below are a few ideas to inspire all the romantic in you. For many people, there is no place more romantic than the beach and if the villa you are staying in has direct access to an idyllic sandy shore of a beach in Koh Samui or Phuket, it will be right there waiting for you. Pop the question during a sunset stroll, or if you are feeling a bit more extravagant, hire the services of a professional chef for the evening. The chef will be able to whip up a delectable culinary masterpiece and see that it is served on a candlelit table scattered with rose petals, just metres from the surf. A picnic proposal is perfect for low key couples who don’t want the formality of a three-course dinner during the build up to the big moment. If you are outdoor types, it is still possible go gourmet and have a private chef put together a mouth-watering hamper for you to enjoy – either o the beach or within the grounds of your private villa. After you have finished eating, lie down and look up at the sky together before one of you finally coming out with those four magic words. 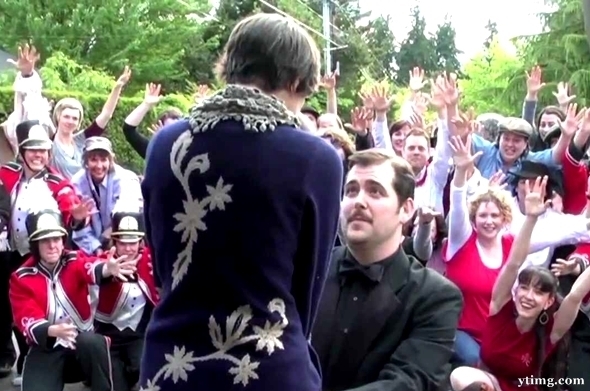 Guys or girls that want to transform their proposal into a romantic extravaganza might enjoy taking some inspiration from what has to be the most thoughtful proposal to pop up on the internet: http://www.youtube.com/watch?v=5_v7QrIW0zY. If you feel inspired to something in a similar vein, enlist the help of your villa manager or concierge to hire a local band to perform a proposal song of your choice in the villa’s private grounds. You could get the band to play your partner’s favourite song, and maybe even ask them to incorporate her/his name into the lyrics for a truly personal touch. 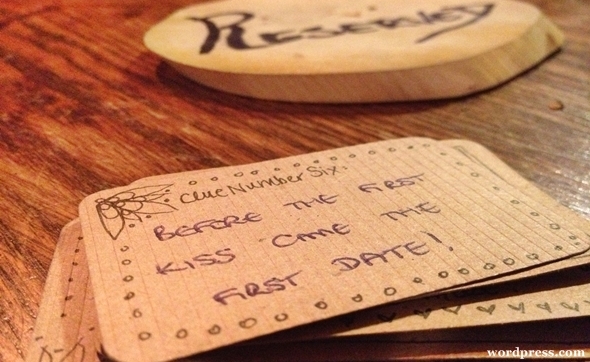 A treasure hunt is a fun way to propose for couples that enjoy the lighter side of life. What's more, the expansive grounds of a private villa will give you plenty of options to spread the clues out for your partner to follow. Begin on the beach, then leave clues in the garden, on the villa’s sun terrace and all around the property for your fiancé to follow. Each of the clues could be a personal joke or special memory you have shared as a couple – all leading to a ring at the end of the trail. 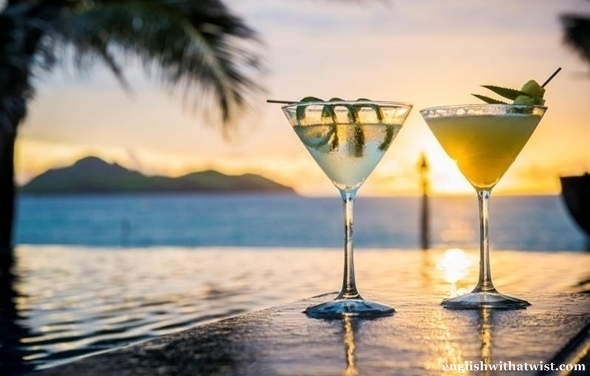 If you and your partner enjoy a few drinks, why not celebrate the special moment with a special cocktail or two? 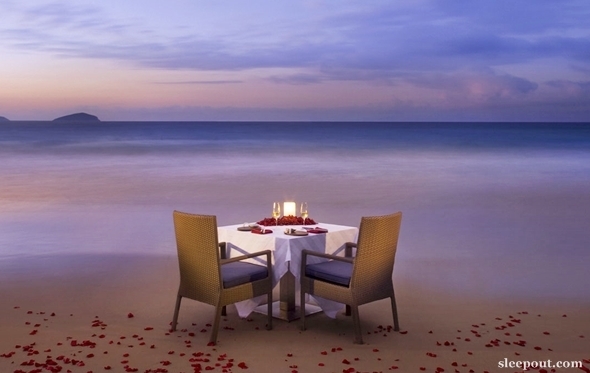 Plan to pop the question around sunset, while you are enjoying a tipple overlooking the ocean. Set the mood by making sure "your song" is playing on the villa’s sound system. If you want to make the evening extra special, you can even arrange for a mixologist to serve you delicious cocktails as you celebrate into the small hours?